So, I had a bit of a shopping spree this weekend. Let me re phrase that - I went shopping and bought pretty much everything I could need for the next few months. I've been so cold recently, so I decided to just buy loads of pieces that will keep me warm. I picked up some cute pieces from H&M. By the looks of it, it seems that jumpers and boots are going to be my essentials until about March. I predict a lot more shopping trips where I'll stock up on more jumpers, denim and boots. I went into Pull and Bear and spotted this 'I Woke Up This Way' sweatshirt. Naturally I HAD to have it. I can't wait to show it off. Fat Face, Jack Wills and American Eagle look like they'll be my go-to's this winter. Fat Face do the best knitwear, without a doubt, while I'm more than a little in love with American Eagle's denim selection. Ripped jeans are still everywhere and they'll be fun to wear while everything else is bundled up. Winter footwear is my favourite part of this cold weather. Spartoo have an amazing range here, and I'm going to have to add to my collection. Gah! LOVE the "I Woke Up This Way" Sweatshirt and Plaid Shirt! We've been pretty lucky with our weather so far; aside from a few dark, rainy days (which includes today, of course...!) our weather has been mild and fall has been really lovely, so I'm not thinking too much about winter yet. But I did just order a pair of over the knee boots, which I think will be one of my cold weather staples. I'm at that stage too where I feel like jumpers and new boots are all I need. I plan on doing a big online shopping spree at some point! 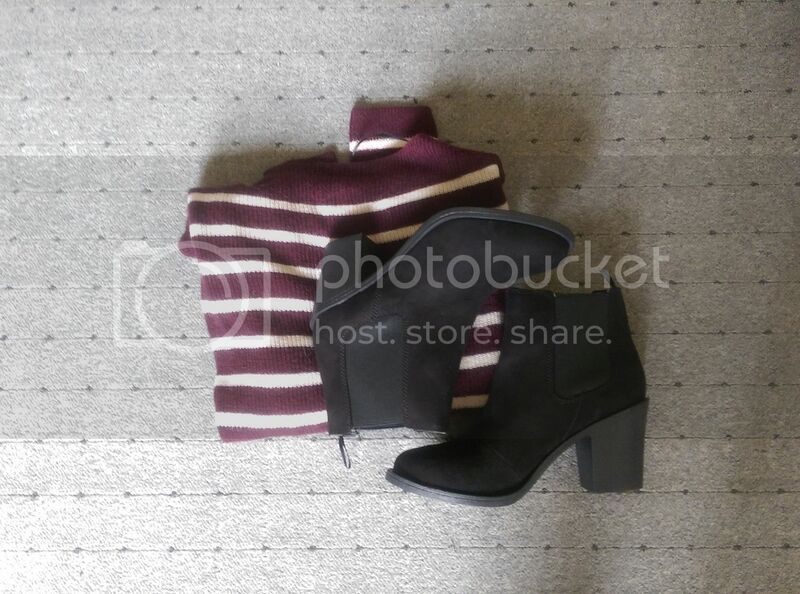 Love the boots and the striped jumper!